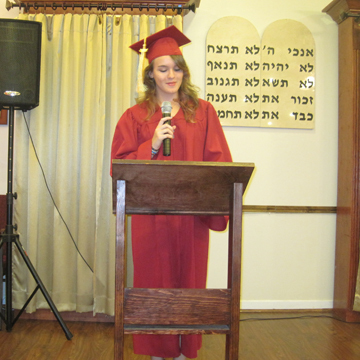 On Tuesday evening, June 12, 2012, Torah Girls Academy of Texas proudly celebrated with its first graduating class, the Class of 2012. 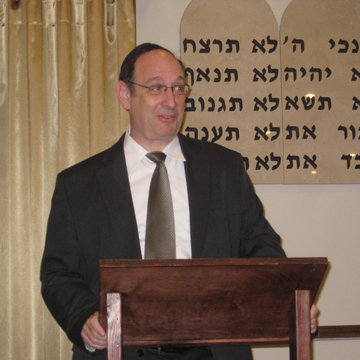 It was a moving and uplifting event, held at Congregation Torah V’Chesed, with a capacity crowd. 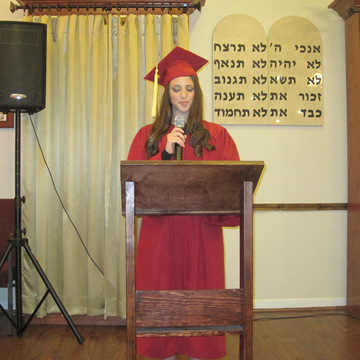 Rabbi Wender, Mrs. Faige Grossman, and Mr. Andrew Serotta all offered words of Torah and bracha to the three graduates. 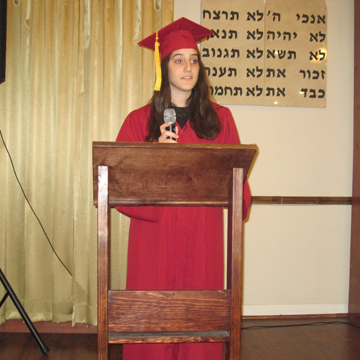 The audience then heard from the graduates, Ciarra Fuerst, Meira Nagel, and Ariella Shalev, who all gave moving divrei Torah and spoke of the lasting impression that TGA will have on their futures. 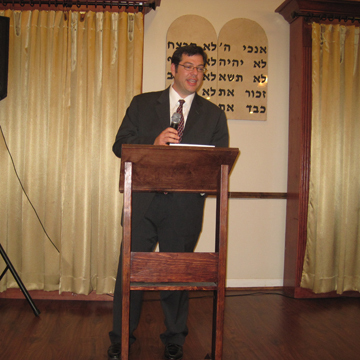 A beautiful pictorial video concluded the ceremony and an array of refreshments was setup for everyone’s enjoyment. 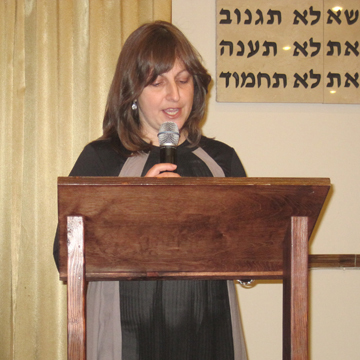 Thank you to all those who made the evening one to remember! 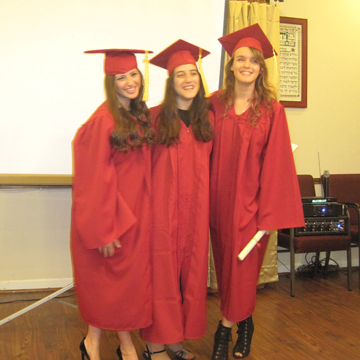 Click here to see the video that was shared at graduation. Enjoy!